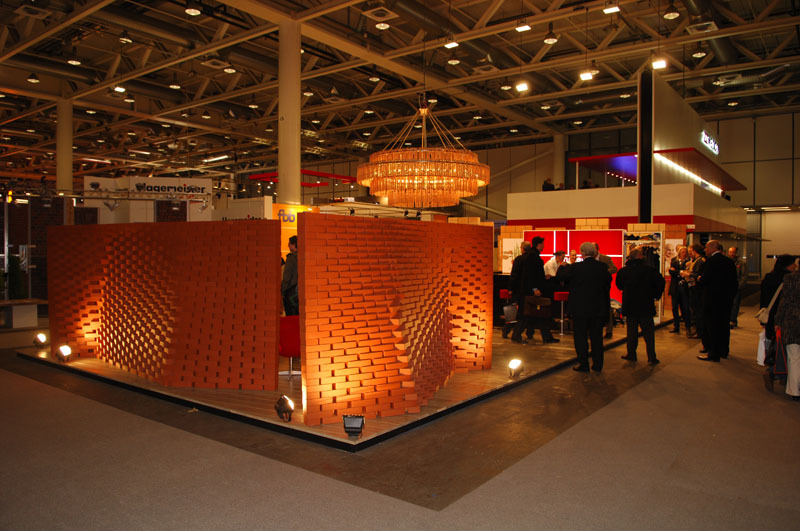 During a week-long workshop the lounge of the Swiss Brick Industry for the building trade fair in Basel was designed and fabricated. 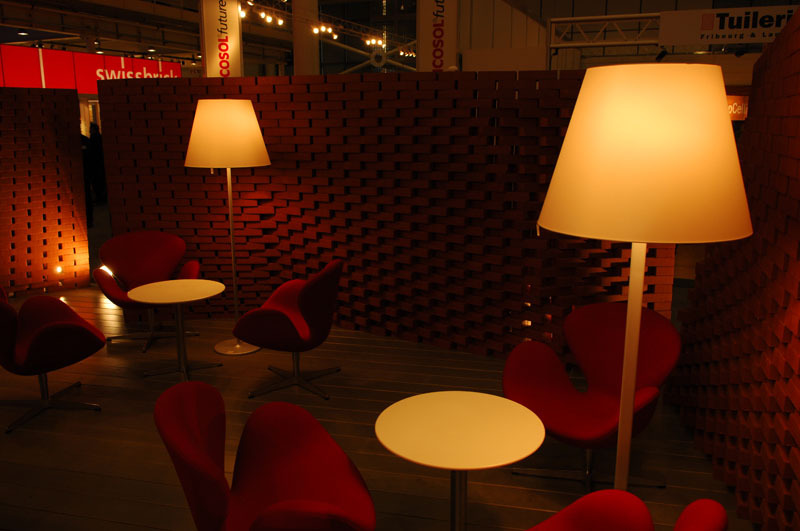 The lounge area was supposed to define a space of retreat in an otherwise fast-paced tradeshow. 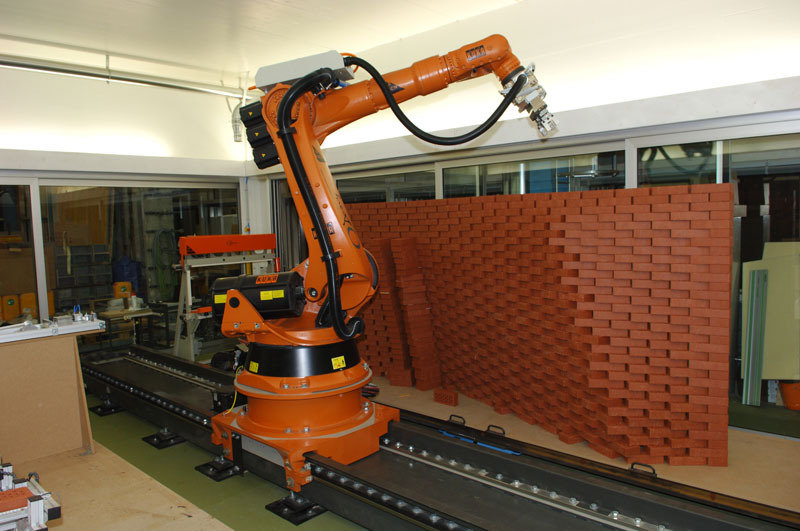 In addition the robot fabricated walls presented the design and performance possibilities using bricks in combination with an innovative building technology. 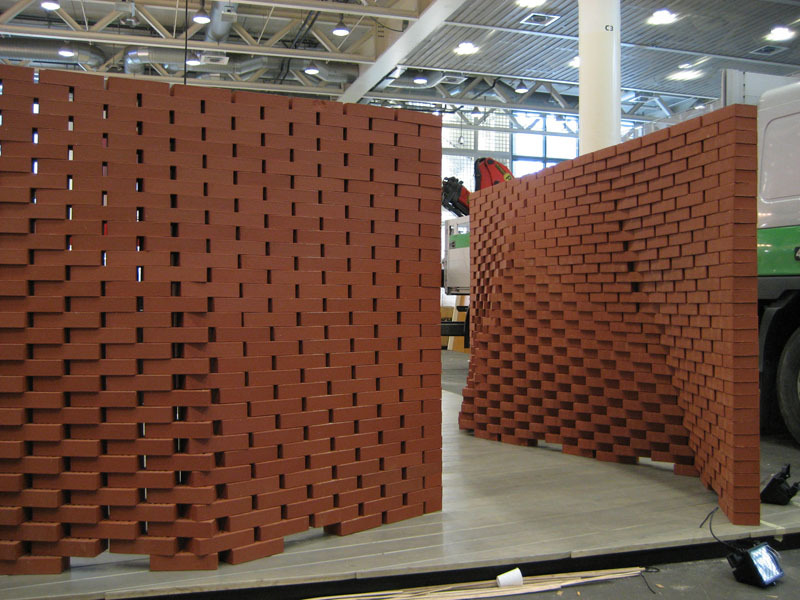 Apart from spatial requirements technically aspects had also been taken into account: The fabrication, transport and security of the wall elements had to be assured. 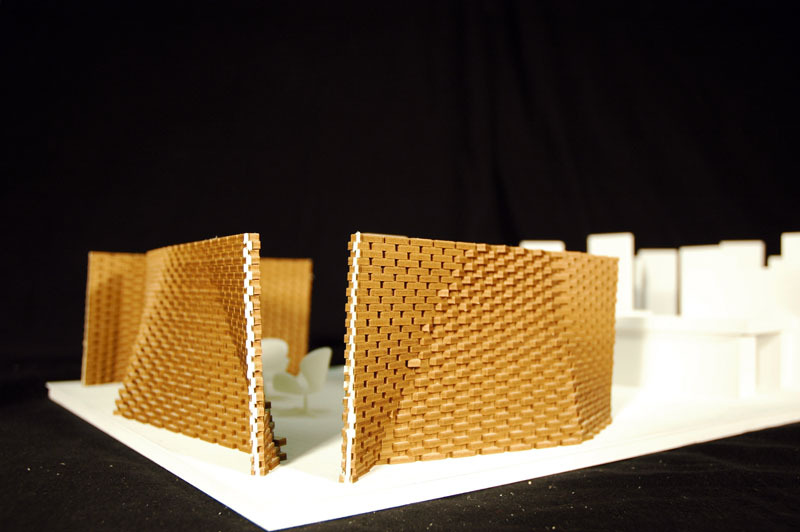 Each wall element had to be stable in itself without making use of any additional support.